Since this build began, almost all of the activity has been over on Facebook group Deckard's Dream Build Group. I am not sure why/how it happened but it did. If you want to join, just mention Muffs in the do you have friends in the group question. News on Panels and case from Andrew is that all the remaining Panels and Cases have been shipped in mid-late April 2018. This BUILD thread is only for the Deckards Dream V1. 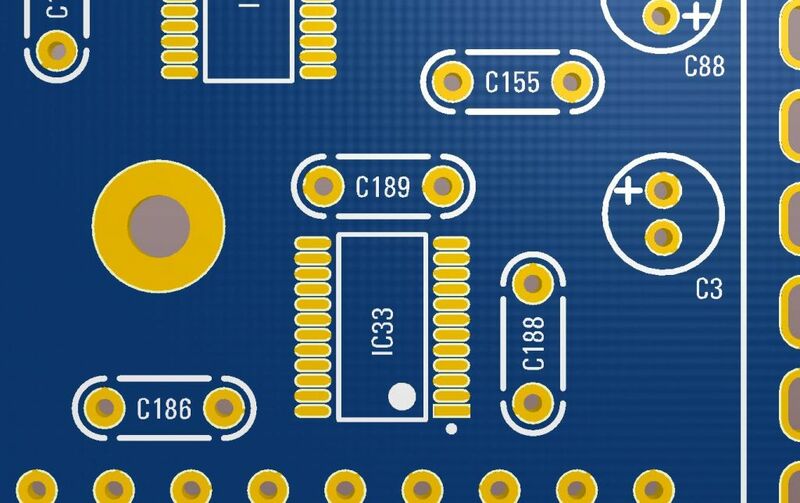 PCB Board details to follow once received. BOM REV1.0.8 has been published including the below changes. REV1.0.9 TL074 CHANGED TO TL064, TL072 CHANGED TO TL062. HEAT SINK, THERMAL PAD, COOLING FAN AND MOUNTING HARDWARE ARE OPTIONAL IF TL06X OPAMPS ARE USED. VOLUME KNOB AND SLIDER CAPS PART# CHANGED. I have of course built the one I used to test and adjust filter behavior. There is nothing particularly hard to do in a production DIY DD build since the fine-pitch SMT parts are already installed, it is just a lot of parts overall and will take a while. I did have to solder all of the DACs and STM32 CPU but even then it was not terribly difficult--one just needs a 0.5mm tip soldering iron and a flux pen. Building the panel/slider board can get a little greasy as the slider lubricant seems to easily transfer to the board during handling, but q-tips and 90% IPA keep that under control. One thing to pay careful attention to is chip orientation as a number of parts install in various directions. Use sockets for V2164s and CEM3340s. excellent, thank you for organizing this! This is awesome Steve. Thanks for taking this on. I am so excited for this project! Nice to see that there will be a first post with all the major links right there. Another great idea is the alternative documentation repository site. Will there be a mirrored site for DD in case Muffs goes down? I would hate to not be able to get my DD build thread fix.....daily! Hi needspeed, nice work getting the build thread started. Thank you for setting this up, Steve. Looking forward to this build. That way folks can pose other this here, and if they need the docs, BOM, Schematic etc they can find it in one tidy place. I will post material from Roman or Black Corp as soon as they send it to me, or if you folks want something important for the build added, it can go there as well. I also linked some sites like this one. The cart doesn't include items that the BOM says are sourced from eBay, Small Bear, synthcube, etc. There are 668 ceramic SMT caps in the BOM. I'm guessing these are preinstalled but it doesn't say so in the BOM, so I ordered them. If they turn out to be preinstalled then its no big loss due to the low cost. Do you mind if I link to it on the DDRM wiki? Haha, I just did a STM32F407 64 pin... the hardest fricken hand soldering thing I ever did. The secret, lightly pre tin the pads.. and use some sort of magnifier cam thingy. 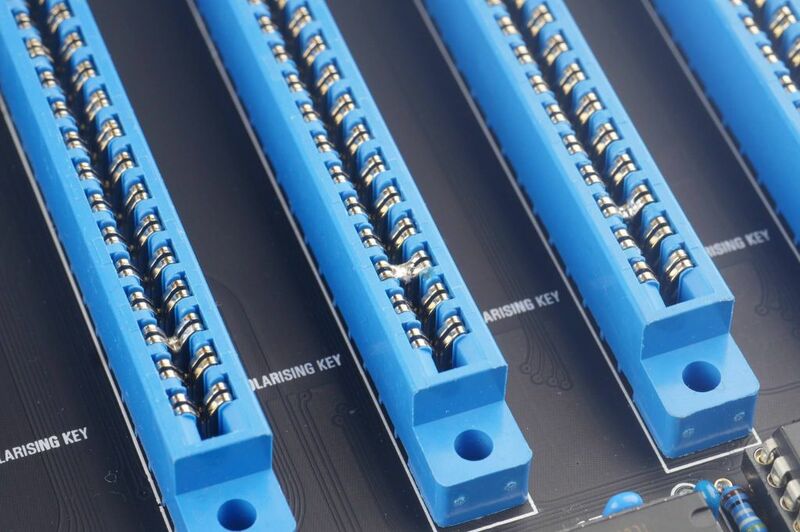 I might invest in a higher end model though.... because I still had a short between a IC pin and the carrier pins... You won't need to do this for the DDRM, but if you ever get a chance, the pins are easily bent. I tried the slide-solder method... disaster and destroyed a processor and a carrier. I lightly tinned the pads, aligned the processor with super thin pins and then touched each pad, one-by-one until it was down. When building the DDRM synth... I would consider protecting all of the fine lead SMT devices with some tape and a thin sheet of foam. Then work carefully around them. You would not want to drop any solder near them. Even for the 688 pieces of 0805-size 100nF ceramic bypass capacitor it will help. Be sure to invest in an 0.5~0.7mm soldering iron tip set for your model, though 1mm tips are fine for 0805. Sure, share the link! I just updated it to Rev1.0.5. Get ready for some sm soldering, sir. These are not among the "pre-installed" parts on the most recent BOM. I really wish Roman had baked these on - I would have gladly paid for it. But I'm committed now I guess. If anyone has a reflow oven, I will pay to have the voice cards cooked. I am really not looking forward to 1300+ hot air joints. edit: He is selling completed synths. Why wouldn't he have these placed during fabrication? I have asked him for clarification on FB. Meanwhile, I asked Roman is this is just a BOM oversight. If all of these need to be manually installed, his production cost for completed units is going to balloon.